Ann Arbor city council meeting (June 18, 2012): Of the two potentially controversial items on the council’s agenda, only one actually resulted in much conversation at the meeting: the site plan approval and brownfield financing for the 618 S. Main project. A possible revision to the city’s year-old medical marijuana licensing ordinance was the other item that could have provoked extended debate – but instead it was quickly postponed, until October, in light of several pieces of legislation currently pending in the Michigan legislature. The council debated but ultimately approved both the site plan and the brownfield plan for the 618 S. Main project – an apartment complex that Dan Ketelaar’s Urban Group Development Co. intends to market to young professionals. The 7-story building would include 190 units for 231 bedrooms, plus two levels of parking for 121 vehicles. The project had received a recommendation for approval from the city planning commission on Jan. 19, 2012. The project’s approval meant that the council granted a variance in the height allowed in the D2 (downtown interface) zoning district – 85 feet, which is 25 feet taller than the 60-foot limit allowed in D2. The majority of councilmembers felt that the project reflected a months-long positive collaboration by the developer with neighbors and with the Ann Arbor Downtown Development Authority, which approved a $650,000 grant to complement the $3.7 million brownfield plan. The project was opposed by Stephen Kunselman (Ward 3), who essentially indicated he did not trust Ketelaar and other “speculators.” Kunselman also seemed unconvinced of the environmental benefits of the project. 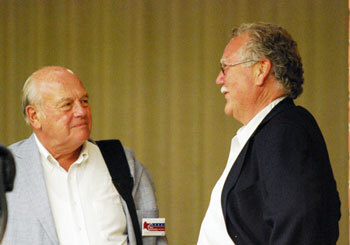 Mike Anglin (Ward 5) joined Kunselman in voting against the site plan and the brownfield plan. Both votes were 8-2 – Sandi Smith (Ward 1) was absent from the 11-member council. The council also took action to allocate $1,244,629 to different nonprofits that provide human services. The amount was set as part of the FY 2013 budget, which the city council approved on May 22, 2012. The council also authorized around $1.5 million for new dump trucks – with stainless steel parts to ensure a longer life than the vehicles they are replacing. And councilmembers approved a roughly $800,000 contract for a five-phase study to analyze stormwater in the city. Other expenses authorized by the council included a $48,000 annual contract renewal with Governmental Consultant Services Inc., the city’s lobbyist in Lansing, and a $75,000 contract with Ann Arbor SPARK, the area’s economic development agency. At its June 18, 2012 meeting, the Ann Arbor city council again delayed a vote on revisions to its medical marijuana licensing ordinance – which it enacted a year ago on June 20, 2011. The postponement is until Oct. 1. The proposed ordinance revisions, recommended by the city’s medical marijuana licensing board at its Jan. 31, 2012 meeting, had already been considered and postponed once before, at the council’s April 2, 2012 meeting. The licenses that the board recommended be granted to 10 dispensaries citywide – recommendations also made at the board’s Jan. 31 meeting – have not yet come before the city council for final action. Now removed from the Ann Arbor city council’s June 4, 2012 agenda is an item regarding a change in the city’s zoning regulations that relate to medical marijuana dispensaries and cultivation facilities. The ordinance change that the council would have considered would have eliminated from the zoning ordinance one sentence: “Medical marijuana dispensaries and medical marijuana cultivation facilities shall be operated in compliance with the MMMA (Michigan Medical Marijuana Act).” [.pdf of the recommended zoning ordinance change. On a unanimous vote, the Ann Arbor planning commission recommended denial of a proposed change to the city’s zoning code for medical marijuana dispensaries and cultivation facilities. 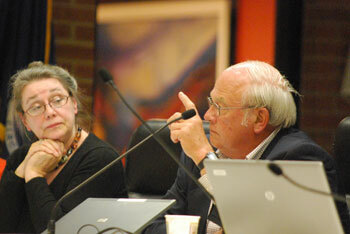 The vote came at the end of the commission’s May 1, 2012 meeting. The Ann Arbor city council’s April 2, 2012 agenda will touch on three areas that have previously generated substantial debate on the council and throughout the community: (1) medical marijuana; (2) funding of public art; and (3) calculation of the tax increment finance (TIF) capture by the Ann Arbor Downtown Development Authority. Screen shot excerpt for April 2, 2012 Ann Arbor city council's online agenda. Image links to online agenda. Medical marijuana is the subject of three different agenda items. The first has previously been postponed twice – at the council’s March 19 and March 5 meetings. It would direct the city attorney to delay enforcement of the Michigan Medical Marijuana Act, as well as the city’s licensing and zoning ordinances (with one exception), until the city council has acted on possible amendments to the city’s local ordinances on medical marijuana. 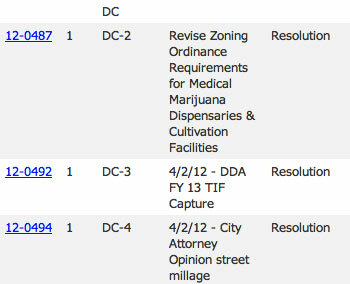 Amendments to those ordinances, as recommended by the city’s medical marijuana licensing board at its Jan. 31, 2012 meeting, are covered in two other items on the April 2 agenda. One item includes a series of amendments to the licensing ordinance, which in part help clarify the role of city staff, as compared to the licensing board, in the licensing process. The council will be considering the amendments for the first time at the April 2 meeting. If approved, the amendments would require a second and final approval by the council at a subsequent meeting before taking effect. The other agenda item regarding the city’s ordinances on medical marijuana is not itself a proposed amendment. Instead, the council resolution would give direction to the city planning commission to review the recommended revision to the zoning regulations for medical marijuana businesses. That’s because it’s the purview of the city planning commission to review changes to the zoning code. The planning commission would then forward its recommendation to the city council. Added to the agenda on Friday were two items that Stephen Kunselman (Ward 3) had announced at the council’s previous meeting, on March 19, that he would be bringing forward. The first is a resolution that would direct the city attorney to prepare a written opinion on the transfer of funds from the street millage fund to the city’s public art fund. It’s a point of contention that has a history going back at least two and a half years. Kunselman’s resolution refers to the context of the fiscal year 2013 budget, which the council will be presented by the city administrator on April 16. The council will need to act on that budget by the end of May. Another item on the agenda that’s related to public art is the approval of a $150,000 sculpture for the interior of the new municipal center, in the Justice Center building. And finally, the report from the public art commission’s planning retreat, held on Feb. 26, 2012, is attached to the council’s agenda as a communication. The second item added to the agenda by Kunselman on Friday directs the city staff to analyze the compliance of the Ann Arbor DDA with Chapter 7 of the city’s code, which is the legislation that established the DDA in 1982. Kunselman’s resolution asks for an analysis by Ann Arbor city staff of the DDA’s capture of taxes in its tax increment finance (TIF) district. 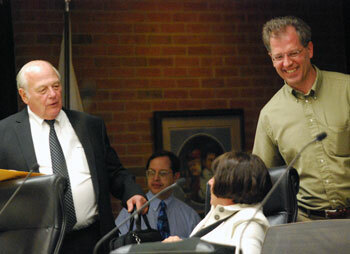 The DDA is slated on April 9 to present its board-approved FY 2013 budget at a city council working session. Chapter 7 appears to impose a limit on the amount of TIF capture, based on the rate of growth of property valuation inside the DDA district. Last year, when the relevance of the ordinance was pointed out by city financial staff, the DDA returned over $400,000 to other taxing authorities in the district. The city of Ann Arbor waived its share of over $700,000. However, the DDA subsequently has contended that the money it reimbursed to other taxing authorities was not required. The DDA claims that Chapter 7 does not impose a limit on TIF capture, but rather addresses how money would be returned to other taxing authorities, if the DDA did not use the money. At stake this year and in future years is several hundred thousand dollars, depending on how the calculations are done. The Ann Arbor District Library, one of the taxing authorities whose taxes are subject to DDA capture, has publicly stated that it has not changed its original legal position – which interprets Chapter 7 as a limit on TIF capture and questions the methodology used by the DDA to calculate the excess. Ann Arbor city council meeting (March 19, 2012): With only eight out of 11 city councilmembers in attendance, the council found some of its business a challenge to complete. The council postponed for a second time (without deliberation) a resolution that would direct Ann Arbor’s city attorney to delay enforcement activities against medical marijuana dispensaries, except in limited circumstances. The only reason offered for postponing was to allow the absent councilmembers to participate in that vote. The same resolution had been postponed previously, at the council’s March 5 meeting. On that occasion, other deliberations had pushed the council’s meeting past midnight, and councilmembers had wanted to deal with the issue while they were fully awake. And the council found itself unable to muster a six-vote majority for any intermediate action on a proposed change to the landscape and screening ordinance – and thus wound up simply defeating it. The changes would have restricted additional landscaping requirements just to those site plans requiring planning commission or city council approval, and would have exempted R4C (multi-family residential) districts from certain buffering requirements. Attempts to amend, postpone and table the resolution all failed on 5-3 votes, one vote short of the majority needed. Several agenda items highlighted the Ann Arbor police department in some fashion. The council authorized the purchase of four new police vehicles, along with a street sweeper. And a new contract with the command officers union was one of two labor contracts ratified by the council at its meeting – the other was with the firefighters union. Deputy chief John Seto, who’ll be interim police chief when Barnett Jones retires at the end of the month, briefed the council on police activity on St. Patrick’s Day as well as during a severe storm the week before. Seto also was criticized during public commentary for a traffic stop he’s alleged to have made as a patrol officer in the mid-1990s. The police department was also a key actor in the city council’s action to recommend to the Michigan Liquor Control Commission that the liquor license not be renewed for Dream Nite Club, located on Fourth Avenue in downtown Ann Arbor. At an administrative hearing earlier in the day on that issue, much of the evidence presented by the city was based on police reports or police officer testimony. In other business, the council approved an upgrade to control room equipment for Community Television Network. The city also added a total of around 160 acres to its greenbelt program, while selling a tiny wedge of property on Summit Street that had a murky history. Also related to land and its use, the city gave final approval to a rezoning request for the Les Voyageurs Society property located near Argo Dam. The council passed a resolution expressing opposition to pending state legislation, which has already won approval from the Michigan house of representatives, that would allow grass clippings to be dumped in landfills under certain conditions. The topic of Fuller Road Station emerged during public commentary as well as during remarks at the council table. 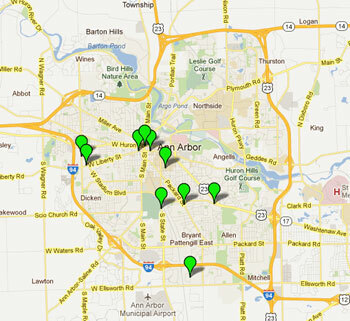 At its Jan. 31, 2012 meeting, Ann Arbor’s medical marijuana licensing board voted to recommend licenses for 10 medical marijuana dispensaries located in the city. A decision on the award of the licenses will now be considered by the Ann Arbor city council. On Dec. 14, 2011, Ann Arbor’s medical marijuana licensing board met to continue deliberations on applications that the city has received for a limited number of medical marijuana dispensary licenses. 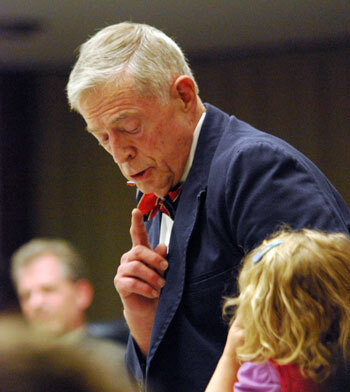 At its Nov. 30 meeting, the board had taken an initial straw poll on one license application. Board members were favorably inclined to make a recommendation to the city council that a license be awarded to MedMarx at Arborside Compassion, located at 1818 Packard St.
At its Dec. 14 meeting, the board continued to review materials that had been submitted to determine completeness of other applications, and heard an argument from a business owner that his application should be considered as a pre-moratorium business. 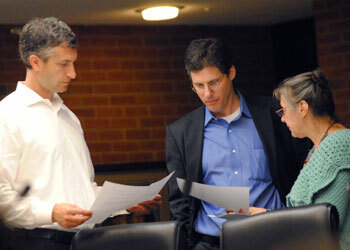 The moratorium had been imposed by the Ann Arbor city council on Aug. 5, 2010 for 120 days – it prohibited the future use of property inside the city for cultivation facilities or dispensaries, and was extended several times in the course of the council’s consideration of the medical marijuana issue. That consideration culminated on June 20, 2011 in the enactment of zoning and licensing requirements for medical marijuana businesses. Ann Arbor’s local laws require that businesses operate in conformance with the Michigan Medical Marijuana Act, which was enacted by statewide voter referendum in 2008. The city has explicitly required of applicants for dispensary licenses that they explain how their business conforms with the law, including an Aug. 23, 2011 court of appeals ruling that has been interpreted by many authorities to mean that no medical marijuana dispensaries are legal. [.pdf of the McQueen case ruling]. Based on remarks made at the Dec. 14 meeting, it appears that Ann Arbor’s city attorney is open to the possibility that dispensary business models may exist that do conform to the McQueen case ruling. Recommendations by the board on the award of licenses, along with recommendations for any revisions to the ordinance, are due to be submitted to the city council by the end of January 2012. The licensing board’s work comes even as some marijuana advocates have begun to recruit volunteers for an eventual petition drive that would seek an amendment to Michigan’s constitution to repeal the state’s general marijuana prohibition. If successful, such a constitutional amendment would appear to remove state-level legal hurdles to obtaining medical marijuana or operating a medical marijuana dispensary. However, the legal ability of federal agents to enforce federal drug laws would be unaffected by a change to Michigan’s constitution. A sign-up sheet for people to indicate willingness to help with the petition campaign was passed around by audience members at the Dec. 14 licensing board meeting. To place the constitutional amendment on the Nov. 6, 2012 ballot, the beginning and end dates for the signature collection period (based on typical strategies used by petition initiatives and Michigan’s election law) translate to Jan. 12 and July 9, respectively. To qualify, 322,609 valid signatures would need to be collected. On Wednesday, Nov. 30, 2011, the medical marijuana licensing board in Ann Arbor, Mich., took something like a straw poll on a recommendation that the city award its first dispensary license – to MedMarx at Arborside Compassion, located at 1818 Packard St. The form of the poll strongly resembled a vote by the board to recommend the dispensary for a license, leading some observers to conclude that the recommendation had been made. But a subsequent email from board member Sabra Briere indicated the board had voted that it “would have recommended MedMarx for a license, if they were making recommendations at that meeting.” Once the board takes a formal vote on the recommendations that it wants to make to the city council, the city council will still need to vote as well, in order for the license to be awarded. Ann Arbor’s medical marijuana licensing board was established as part of an ordinance regulating licenses for medical marijuana dispensaries, enacted by the city council on June 20, 2011. The licensing ordinance was enacted at the same time as a zoning ordinance, which regulates where such businesses can be located in the city. The two pieces of legislation were enacted after more than a year of consideration and deliberations by members of the city council. On Wednesday, the board considered seven out of a total of 10 license applications that had been submitted to the city. The remaining three are for businesses located in areas not zoned for medical marijuana businesses. However, at least two of those intend to ask for a review of the city’s decision to deny a zoning compliance permit (required as part of the license application) by the city’s zoning board of appeals (ZBA). Besides the one application on which the board voted, four of the other six applications were determined to have met the requirement demonstrating that they were in operation before the council enacted a moratorium. That moratorium was established on Aug. 5, 2010 and prohibited establishment of any additional medical marijuana businesses in the city. The board’s work on Nov. 30 came as attitudes on medical marijuana nationally, at the state level and locally are in flux. Nov. 30 was the same day that governors from the states of Washington and Rhode Island signed a petition appealing to the federal Drug Enforcement Administration to reclassify marijuana has a drug having medical uses. And the licensing board meeting came at the conclusion of a series of day-long seminars in different Michigan cities given on Nov. 16, 17, 29, and 30 by staff of Michigan State Attorney General Bill Schuette on how to enforce the Michigan Medical Marijuana Act. The seminars included the case law that has evolved – including the McQueen case, in which a Michigan court of appeals found that at least one business model for operating a dispensary is not consistent with the MMMA. According to a report from The Saginaw News, Schuette’s “Clearing the Air” seminars were closed to the press. The materials provided at the seminars include a range of legal tools the attorney general believes can be used to prevent medical marijuana dispensaries from doing business. One of those tools is to apply laws on public nuisances to such businesses. Ann Arbor city council meeting (Oct. 3, 2011): In spite of the eight public hearings scheduled for Monday night, the council’s agenda was actually relatively light. Six of the public hearings were very similar requests for annexations of property from Scio Township into the city of Ann Arbor. The annexations were all approved with scant comment from the public or the council. But two agenda items – both related to the future of the block of South Fifth Avenue just south of William – resulted in over an hour of deliberations by the council. An item added late Monday afternoon gave a glimmer of hope to the Heritage Row planned unit development (PUD), which the council last had on its agenda on Dec. 6, 2010 – nearly a year ago. On Monday, the council voted to suspend its rules, then voted to reconsider the project, and finally voted to postpone it until its Oct. 17 meeting. If the council were to give the new version of Heritage Row initial approval at its Oct. 17 meeting, it would then take a second and final vote on it at a meeting now scheduled for Oct. 24. In a related action, the council approved a revision to the development agreement for City Place that eliminated the need for the developer to complete off-site utility work before being issued a building permit for that project. Now, that utility work would need to be completed later in the process, before the certificate of occupancy is issued. The relaxation of the timeline was undertaken to allow the developer additional flexibility to discuss a modified Heritage Row, as an alternative to City Place. In other business, the council again delayed action on a resolution of intent for the use of revenue generated by a proposed street and sidewalk repair millage that voters will be asked to approve at the Nov. 8 election. Questions concerned the need for such a resolution at all, as well as the plan for use of the millage inside the Ann Arbor Downtown Development Authority district. A request for rezoning a medical marijuana business on South State Street was denied by the council, but did achieve three votes on the 11-member body. At its Oct. 3, 2011 meeting, the Ann Arbor city council voted to deny a request for the rezoning of a South State Street property, so that it could be used as a medical marijuana dispensary. The request was denied on a 3-8 vote. The owner of Treecity Health Collective, a dispensary at 1712 S. State, had requested that the city planning commission recommend the location be rezoned from O (office) to C1 (local business). The owner had also asked that the area plan requirement for that location be waived. However, at their Aug. 16, 2011 meeting, planning commissioners recommended denial of the requests, based on a staff recommendation, stating that C1 zoning is not consistent with adjacent zoning, land uses and the city’s master plan. And at their Sept. 19 meeting, councilmembers were hesitant to vote down the rezoning, and instead decided to delay their vote. The council is looking ahead to another rezoning request in the same vicinity on South State – for Biercamp Artisan Sausage and Jerky – and appears keen to treat them in parallel fashion. At its Sept. 8 meeting, the city planning commission recommended denial of Biercamp’s rezoning request, which would allow the sausage business to sell a greater variety of products beyond those manufactured on the site. The Treecity Health Collective opened in 2010. This summer, the Ann Arbor city council approved amendments to the city’s zoning ordinances that prevent medical marijuana dispensaries from operating in office zoning districts – those changes were set to take effect on Aug. 22, 2011. Rather than relocate the dispensary, the business asked for the zoning change. The property – located on the west side of State, south of Stimson – is owned by Francis Clark. A recent court of appeals ruling has raised legal questions about the existence of dispensaries under Michigan’s Medical Marijuana Act. However, the Ann Arbor city council decided at its Sept. 6 meeting to proceed with the appointment of four out of the five members of its medical marijuana licensing board and subsequently appointed the five member. That body met for the first time on Sept. 21. At its Sept. 19, 2011 meeting, the Ann Arbor city council did not follow the recommendation of the city planning commission to deny a request for the rezoning of a property on State Street, so that it could be used as a medical marijuana dispensary. Instead, the council decided to postpone a decision for two weeks. The owner of Treecity Health Collective, a dispensary at 1712 S. State, had requested that the city planning commission recommend that the location be rezoned from O (office) to C1 (local business). The owner had also asked that the area plan requirement for that location be waived. However, at their Aug. 16, 2011 meeting, planning commissioners recommended denial of the requests, based on a staff recommendation, stating that C1 zoning is not consistent with adjacent zoning, land uses and the city’s master plan. And at their Sept. 19 meeting, councilmembers were hesitant to vote down the rezoning, and instead decided to delay their vote. The Treecity Health Collective opened in 2010. This summer, the Ann Arbor city council approved amendments to the city’s zoning ordinances that prevent medical marijuana dispensaries from operating in office zoning districts – those changes were set to take effect on Aug. 22, 2011. Rather than relocate the dispensary, the business owner – Dori Edwards – is asking for the zoning change. Dori Edwards, an employee of Treecity, was the only person to speak during the public hearing on these requests. The property – located on the west side of State, south of Stimson – is owned by Francis Clark. A recent court of appeals ruling has raised legal questions about the existence of dispensaries under Michigan’s Medical Marijuana Act. However, the Ann Arbor city council decided at its Sept. 6 meeting to proceed with the appointment of four out of the five members of its medical marijuana licensing board. That body will meet for the first time on Sept. 21, from 4-6 p.m. in the city council workroom on the second floor of city hall, located at 301 E. Huron. Update: At the conclusion of its Sept. 19 meeting, the council appointed physician Gene Ragland to the city’s medical marijuana board. Ann Arbor city council meeting (Sept. 6, 2011): Ordinarily the slot on the council’s agenda for nominations and appointments to various boards and commissions generates little conversation during the meeting – by the public or by the council. However, considerable public commentary at the council’s Tuesday meeting – held a day later than usual due to the Labor Day holiday – was connected to appointments to the city’s medical marijuana licensing board. Advocates for access to medical marijuana tied their remarks to that agenda item, though none of the speakers had any apparent issue with the proposed constitution of the board. Instead, they expressed concerned that a recent court of appeals ruling makes the legality of certain dispensary operations uncertain. 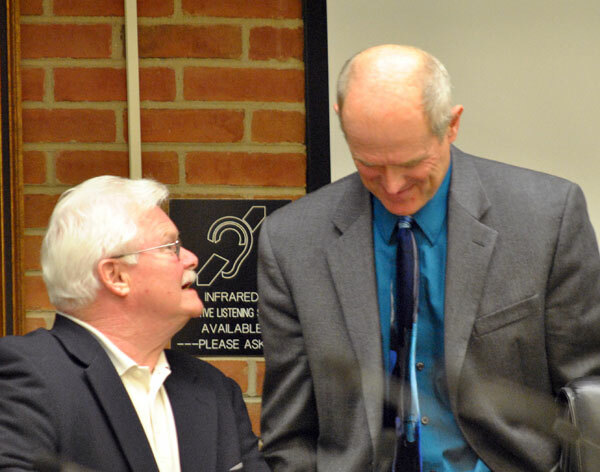 On the council’s side, the unusual focus on appointments came during the usually perfunctory vote on the Ann Arbor Downtown Development Authority appointments. That vote was drawn out by a request from Stephen Kunselman (Ward 3) to separate out the three appointments for separate roll-call votes. The votes on the reappointment of John Mouat and the new appointment of Nader Nassiff were unanimous. But Kunselman wanted to cast a lone vote of opposition against the reappointment of Joan Lowenstein to the board. The other non-unanimous vote of the evening came on the reconstruction of a pedestrian bridge over Malletts Creek in the Lansdowne neighborhood. Tony Derezinski (Ward 2) asked his colleagues to indulge him in a two-week postponement on that project, so that he could achieve a clearer understanding of the public-private character of the project and its potential legal liabilities. His colleagues, who indicated they were already familiar with the longstanding issue of the bridge, were disinclined to grant the postponement. So Derezinski voted against the $120,000 project, which will be paid out of the city’s major street fund. In other street fund expenditures, the city council approved a roughly $550,000 increase in the amount of its contract with Barrett Paving Materials Inc. to undertake additional street repair projects in the 2011 construction season. Progress on the scheduled projects had been sufficiently rapid that it was possible to add the additional work. Land purchase and lease was the topic of three items on the agenda. In one, the city authorized a $100/month month-to-month lease of part of the city-owned 415 W. Washington building to the Kiwanis Club for storage for the club’s warehouse sale. The council also approved the use of $82,500 from the city’s open space and parkland preservation millage to purchase an Eden Court parcel located next to the Bryant Community Center. And the council held a closed session under the exemption in the Open Meetings Act that allows for such a session for the purpose of land acquisition. In other business, councilmembers gave initial approval to a change in the city’s pension ordinance, approved the allocation of some money already budgeted for human services, and OK’d the allocation of community events funding. In his communications time, Kunselman foreshadowed an upcoming issue for the council – the relationship between the street millage and the public art program. First Kunselman offered to fill the slot as council liaison to the Ann Arbor Housing Commission. 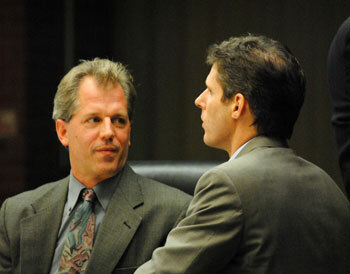 Derezinski had stepped out of that role in order to serve on the city’s public art commission. At Tuesday’s meeting, Kunselman also reiterated his position that the city’s public art program takes money from dedicated millages in a way that is not legal. In response to his comments, Sabra Briere (Ward 1) encouraged Kunselman to take the action he felt was appropriate to rectify that situation. At its Sept. 6, 2011 meeting, the Ann Arbor city council confirmed appointments to its medical marijuana licensing board: Patricia O’Rorke, James Kenyon, John McKenna Rosevear – all members of the public – and Sabra Briere (Ward 1) from the city council. The fifth member of the board, who is required to be a physician under the city’s medical marijuana licensing board bylaws, was not appointed. Medical marijuana was the topic of public commentary from a half dozen speakers at the start of the meeting. The Ann Arbor city council gave final approval to its medical marijuana licensing and zoning ordinances at its June 20, 2011 meeting. Ann Arbor city council meeting (Aug. 15, 2011): One connection among multiple items on the council’s agenda was the era when they originated, back in the mid-2000s. Ann Arbor city council chambers on Aug. 15, 2011. 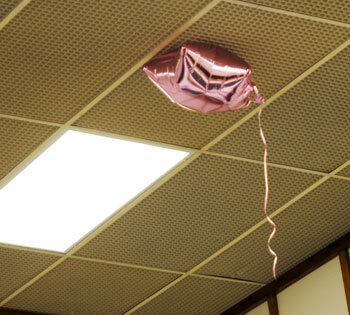 Despite appearances, the city of Ann Arbor does not currently have a balloon payment due that will put the city up against its debt ceiling. (Photo by the writer). The city council originally gave its approval to the selection of Village Green as the purchaser of the city-owned First and Washington lot back in 2006. To make up for the fact that the First and Washington deal has not yet been finalized, on Monday the council approved a $3 million inter-fund loan from its pooled investment fund. The money is needed to pay construction bills for the city’s new municipal center. A year earlier, in 2005, the city received a recommendation from a blue-ribbon task force to change the composition of the board of trustees for its retirement system – to a mix on the board that is less heavily weighted towards members who are beneficiaries of the system. And on Monday, the council approved the Nov. 8 ballot language that will ask voters to change the city charter, which specifies the composition of the board. A year before that, in 2004, the city council gave direction to city staff to develop an ordinance that would regulate idling vehicles. On Monday, the city council formally received – but took no action on – a resolution from its environmental commission recommending a draft anti-idling ordinance. Likely dating back even earlier was an agenda item that addresses a point of ongoing friction between the city and the University of Michigan: reimbursement for the costs associated with traffic control during home football games. On Monday, the council approved a resolution that sets Aug. 25 as a deadline for completing a contract that reimburses the city for those costs. Otherwise, the city administrator is directed not to provide the signs and signals operations during home games. In other business, the council gave final approval to the reapportionment of the five city wards, which will take effect after the Nov. 8 election. The council also set the application fee for medical marijuana business licenses at $600. The city’s medical marijuana licensing legislation, approved in June, takes effect later this month. Mayor John Hieftje also announced nominations for four of the five slots on the newly-established medical marijuana licensing board. The mayor also announced nominations to the Ann Arbor Downtown Development Authority board. Joan Lowenstein and John Mouat were nominated for reappointment, while Gary Boren, recently elected as chair of the board for the coming year, was not. At the meeting, the DDA was also highlighted during public commentary by the owner of Jerusalem Garden, a restaurant adjacent to the construction site of the Fifth Avenue underground parking structure, which the DDA is managing. The restaurant has seen revenues drop during construction. He reiterated some of the points he’s made previously when addressing the council and the DDA board, and this time called on the council to think about how to apply lessons learned from the current situation in the future. Economic development was also part of the council meeting in the form of a resolution the council passed that urges the Washtenaw County board of commissioners to levy a tax to fund economic development. The tax is based on Act 88 of 1913 and does not require voter approval. At its Aug. 15, 2011 meeting, the Ann Arbor city council voted to establish an application fee of $600 for licenses to operate a medical marijuana dispensary in the city. The fee covers a total of approximately nine hours of work by staff in the city clerk’s office, police department, planning department, and the attorney’s office. The licenses for which businesses may apply were established by a city ordinance given its final approval at the council’s June 20, 2011 meeting. The ordinance distinguishes between an “application fee” and a “license fee.” The license fee, according to the city’s ordinance, is to be reviewed by a licensing board, which members are to be appointed by the mayor. The five-member body is to consist of one member of the city council, one physician, and three other Ann Arbor residents. Nominations to the licensing board were also made at the Aug. 15 meeting: Patricia O’Rorke, James Kenyon and John McKenna Rosevear. Sabra Briere was nominated as the city council representative. Still needed is a physician to serve on the board. The ordinance becomes effective Aug. 24, which is 60 days after its date of legal publication, on June 23. Applicants who were already in business before the city council enacted its Aug. 5, 2010 moratorium have 60 days after the effective date to apply for a license. The city’s communications to this point with prospective applicants has not been perfectly smooth. A letter sent out by Wendy Rampson, head of planning for the city, was met with objections because of the city’s insistence that “proof” be provided that a business was in operation before Aug. 5, 2010 – beyond an affidavit attesting to that effect. The city’s ordinance appears to empower the licensing board, not staff in the city attorney’s office or the planning department, with evaluating the merits of license applications. Ann Arbor city council meeting (July 5, 2011): Baked into the council’s post-Independence Day meeting was a fundamentally democratic theme: voting. It began with public commentary on the topic of a proposed redrawing of the boundaries for the city’s five wards. The city charter requires the wards to be pie-shaped wedges. The redrawing of the lines themselves was not thought to be particularly controversial. But the timing of the redistricting stirred a representative of the American Civil Liberties Union to appear before the council to address councilmembers. Attorney John Shea, speaking for the ACLU, told them they shouldn’t enact boundary changes between the primary and the general elections. Ultimately, the council kneaded the advice into their thinking, and voted to postpone the whole question of redistricting. 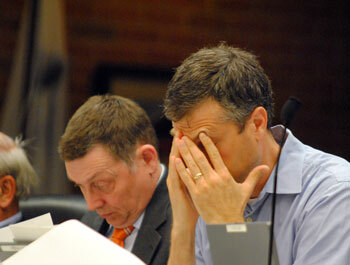 The meeting ended with a voting snafu, when the council tried to convene a closed session to discuss land acquisition. So even though the vote was 6-3 in favor of entering into a closed session, a 2/3 majority of members present did not satisfy the statutory requirement of a 2/3 majority of the council’s 11 members. The vote was eventually recognized as only half-baked, and the council came out of their workroom, revoted 8-1 to re-enter the closed session, and completed the meeting without further complications. Part of the meeting’s creamy dessert filling also depended on a somewhat infrequent parliamentary exercise that resulted in revoting an item that the council had approved two weeks earlier. That vote was on a contract for the reconstruction and relocation of water, sanitary sewer and stormwater lines in the vicinity of the proposed site for the Fuller Road Station. Mike Anglin (Ward 5) brought the resolution back for reconsideration, and council members voted unanimously to roll out the dough again by rediscussing and revoting the issue. The outcome was the same – it was approved – but Anglin registered his dissent this time by voting against it. He told his colleagues that when they’d voted two weeks ago, he had not realized that the project was related to the Fuller Road Station site. Also part of the council’s meeting was a significant vote that received no discussion by the council. A proposal to voluntarily increase an already-approved contract with Recycle Ann Arbor was voted down 5-4, thus failing by one vote to achieve the six-vote majority it required. The council also wrapped up a loose end from its previous approval of ordinances related to zoning and licensing of medical marijuana, by approving a non-disclosure policy. The policy ensures that private information of patients and caregivers is not divulged. In an item added late to the agenda, councilmembers also approved a one-year contract with the city’s deputy police chiefs union. In other business, the council set a new design review board fee at $500. It also approved three water-related projects: a porous pavement project in the Burns Park neighborhood, a rain garden on Kingsley Street, and a level-of-service study of the city’s water system. A similar non-disclosure policy had been discussed, but postponed, at the council’s March 7, 2011 meeting. When the matter was before the council again, at its March 21, 2011 meeting, the council chose not to pursue that non-disclosure policy. That’s because the amendments to the medical marijuana legislation it approved on March 21 did not include the collection of personal information. So that resolution was withdrawn by its sponsor, Sabra Briere (Ward 1). On July 5, dissenting on the 6-3 vote were Marica Higgins (Ward 4), Tony Derezinski (Ward 2) and Stephen Rapundalo (Ward 2). Ann Arbor city council meeting (June 20, 2011): Two ordinances regulating medical marijuana businesses were finally approved by the council on Monday night, following more than a year of discussion in some form. The first local law stipulates where medical marijuana businesses can be located in the city – it’s an addition to Ann Arbor’s zoning code. The second law establishes a licensing board for medical marijuana dispensaries and sets up an application process for the award of a maximum of 20 licenses to dispensaries in the first year of the program. On Monday evening, the council undertook amendments to the licensing ordinance that were few compared to massive changes that have taken place at several council meetings dating back to January 2011. On Monday, the labeling requirements for marijuana packaging were changed so that dollar amounts are no longer required. The council teetered on the edge of postponing the legislation, when city attorney Stephen Postema encouraged councilmembers to delay voting until the Michigan Court of Appeals issued an opinion on a case (Michigan v. McQueen) for which oral arguments were heard on June 7. 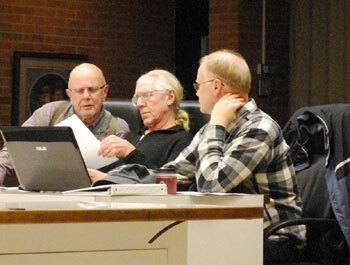 Despite the support for postponement from mayor John Hieftje, an initial vote to postpone achieved only two other votes. A second vote achieved a total of five votes, leaving the postponement one vote short of the six-vote majority it required. As some councilmembers observed that the council had invested a disproportionate amount of time on the medical marijuana legislation, Hieftje contended that it had not prevented the council from handling its other work. The council also approved two contracts in connection with the East Stadium Bridges replacement project and three purchase orders related to tree care. And the council gave final approval to sewer and water rate increases and a revision to its landscaping ordinance. The council revised its debt/fund balance policy, and revised its budget to reflect the blending of its economic development fund back into the general fund. Also related to economic development, councilmembers approved the annual $75,000 funding for Ann Arbor SPARK and set a public hearing for a tax abatement for Picometrix. The council established an affordable housing lien policy and gave initial approval to technical revisions to the city’s pension ordinance. They confirmed appointments to the new design review board, but postponed a vote on setting the design review fee. The council added a work session for July 11, which is likely to include an update on the planned Fuller Road Station. At its June 20, 2011 meeting, the Ann Arbor city council gave final approval to two city ordinances that ensconce medical marijuana businesses with local regulations. One ordinance concerns zoning – legislation that stipulates where medical marijuana dispensaries and cultivation facilities can set up business. And the second ordinance concerns licensing – a law that describes how a maximum of 20 licenses in the first year will be awarded, and how a licensing board will be set up to evaluate applications. An effort led by Stephen Rapundalo (Ward 2), mayor John Hieftje and city attorney Stephen Postema to postpone the votes – in light of a future expected court ruling – failed on two separate votes. The first vote on postponement was 3-7. Joining Hieftje and Rapundalo in voting for postponement was Marcia Higgins (Ward 4). On the second vote to postpone, Stephen Kunselman (Ward 3) and Margie Teall (Ward 4) joined the side for postponement, but that left the measure with only five votes. 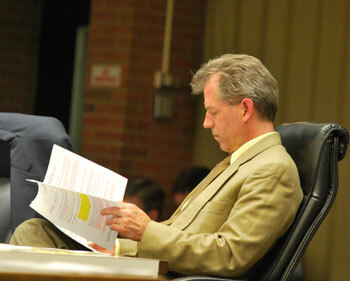 Tony Derezinski (Ward 2) was absent from the meeting. Based on previous deliberations, he would likely have voted for the postponement. The votes on both ordinances themselves were 8-2, with Higgins and Rapundalo dissenting. Key features of the zoning ordinance include the requirement that medical marijuana dispensaries must be located in districts zoned as D (downtown), C (commercial), or M (manufacturing), or in PUD (planned unit development) districts where retail is permitted in the supplemental regulations. Medical marijuana cultivation facilities are only allowed in areas zoned as C (commercial), M (manufacturing), RE (research), or ORL (office/research/limited industrial). Medical marijuana businesses are prohibited in a 1000-foot buffer zone around schools. Key features of the licensing ordinance include a limit of 20 total licenses for dispensaries in the first year – cultivation facilities are not licensed under the ordinance. The license applications will be processed by a five-member medical marijuana licensing board consisting of one member of the city council, one physician, and three other Ann Arbor residents. The license application requires proof of legal possession of the premises for which the license is sought. Licensed dispensaries are required to maintain records on patients for 30 days after marijuana is dispensed, and on cultivation sources for 60 days. In an amendment to the licensing ordinance made by the council on June 20, a stipulation was eliminated that would have required dollar amounts to be included in medical marijuana package labeling. That amendment was not substantial enough to require the ordinance to undergo an additional reading and approval by the council. The council’s work on the medical marijuana legislation dates at least as far back as June 7, 2011 2010, when it convened a closed session on the topic to discuss a city attorney’s memo dated May 28, 2010. The council convened another closed session on July 19, 2010, purportedly to discuss the same May 28, 2010 memo. The council did not publicly discuss the topic until Aug. 5, 2010, when it enacted a moratorium on the use of property in the city for medical marijuana businesses. Dispensaries that were operating before the moratorium was enacted – and that were allowed under the moratorium to continue to operate – will have a 60-day window within which they can apply for a license after the ordinance takes effect, which is 60 days from publication. Other dispensaries cannot apply until 75 days after the ordinance becomes effective. Ann Arbor city council meeting (June 6, 2011, Part 2): At its first meeting in June, the council undertook amendments to both new medical marijuana ordinances, which it has been discussing in some form at least since June 7, 2010. The body language of Christopher Taylor (Ward 3), with Stephen Rapundalo (Ward 2) seated to his right, reflects that the council's evening on June 6 was a long one. Both ordinances have already received the council’s initial approval. But all ordinances require two approvals by the council and a public hearing. If an ordinance is amended in a significant way after the first approval, it needs an additional approval to count as the initial reading and approval in front of the council. Revisions to the zoning ordinance made on June 6 involved wording changes like including “part of a building” in the definition of a dispensary. They were deemed not substantial enough to re-set the legislation to its first reading. So the council did not take a vote on anything except a set of amendments. The council postponed the vote on the ordinance as a whole, because that would have been the second and final vote, which would have enacted the zoning legislation. The licensing legislation was not able to receive its final approval that evening – and the council would like the zoning and the licensing ordinances to be enacted together. The licensing ordinance could not receive its final approval, because it underwent substantial changes. Those included eliminating a requirement that effectively made the landlord give written permission for use of any leased property as a medical marijuana dispensary or cultivation facility. Also altered were two record-keeping requirements. A requirement on storing patient records was changed from one year to 30 days, with access to the information limited to patients themselves. And a requirement on cultivation source record-keeping was changed from an indefinite period to 60 days. At its June 20 meeting, the council may take its final vote on both pieces of legislation. At its June 6, 2011 meeting, the Ann Arbor city council approved amendments to a proposed medical marijuana licensing program that were substantial enough that the program will require a second reading and approval before the council, together with a public hearing. The zoning ordinance, to which the council had previously given its initial approval, was also considered on June 6, but was postponed. That would allow the second and final approvals of both licensing and zoning ordinances to be enacted at the same meeting, on June 20. Among the amendments to the licensing program was one that reduced a records retention requirement from one year to 30 days. The medical marijuana zoning ordinance received its initial approval by the council at its Oct. 18, 2010 meeting. The delay since the initial Oct. 18, 2010 zoning vote stems from the city of Ann Arbor’s strategy in legislating zoning and licensing of medical marijuana businesses – that strategy has been to bring both licensing and zoning before the city council at the same time for a final vote. The context for developing zoning regulations was set at the council’s Aug. 5, 2010 meeting, when councilmembers voted to impose a moratorium on the use of property in the city for medical marijuana dispensaries or cultivation facilities. The council also directed the city’s planning commission to develop zoning regulations for medical marijuana businesses. Subsequently, the city attorney’s office began working on a licensing system. The council undertook several amendments to the licensing proposal at four of its meetings over the last three months: on Jan. 3, Feb. 7, March 7 and March 21. The council finally gave its first initial approval to the licensing proposal at its March 21 meeting. 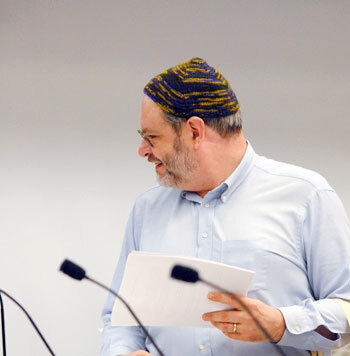 At its May 2, 2011 meeting, the Ann Arbor city council again postponed two local laws on medical marijuana, one on zoning and another on licensing. Both laws had previously received initial approval, but after approving several amendments to both proposed laws, the council decided to postpone them to its June 6 meeting. The context for development of zoning regulations was set at the council’s Aug. 5, 2010 meeting, when councilmembers voted to impose a moratorium on the use of property in the city for medical marijuana dispensaries or cultivation facilities. The council also directed the city’s planning commission to develop zoning regulations for medical marijuana businesses. Subsequently, the city attorney’s office also began working on a licensing system. The council undertook several amendments to the licensing proposal at four of its meetings over the last three months: on Jan. 3, Feb. 7, March 7 and March 21. The council finally gave its first initial approval to the licensing proposal at its March 21 meeting.